The more you make calls, the less you rely on a script. My over 10 years of experience in a B2B lead generation made me customize a script that works for me and my team. How I deliver my spiel and what words to say to my prospects varies depending on the person I’m talking to. However, if you are an inexperienced agent, distractions can happen anytime during your call. Thorough preparation is needed before making calls. How a newbie should prepare before making calls. Product knowledge. Know every details of the product and services you offer. Write down important details and make sure the information is available in case a prospect asks you about it, you can easily read it. This will refrain you from stuttering and you’ll sound credible over the phone. It’s a big turn off for prospects if the agent calling him is not familiar of what he’s offering. Remember your company details (name of the company and its location). Of course, how can you forget your company? But as a newbie, distractions plus a little bit of nervousness might make you forget some important stuff. So it’s best to have them handy as well. Be familiar with your script. Go over your script for at least 2 or 3 times. You’re not supposed to read your script and should be used as your guide. It is important to be familiar with what you’re supposed to say when talking to your prospects. Prepare for rebuttals for every possible objection. You can ask objections from your mentor or a colleague. As you make calls, you’ll encounter objections. Take note of them and provide rebuttals for you to use. Scripts make you sound spontaneous and confident over the phone. Prospects wanted to speak with someone who is credible and not just any salesperson. Here are the Appointment Setting, Call-to-invite and Data profiling scripts I use that work for the following industries. Hi, Andrew! My name is _____________, with XYZ Consulting Group. Would you be the best person to talk to regarding your company’s I.T requirements? I’m calling with XYZ Consulting Group. We are an I.T solutions provider specializing in secure I.T solutions for small to medium business. We pride ourselves in providing business solutions that are designed to work. We provide a range of Computer Support, Network Services, Backup and Disaster Recovery, IT Consulting, Cloud Services, VoIP and Phone Solutions, Virtualization and Email & Spam Protection. I’d like to propose a quick conversation between you and one of our executives to see how we can assist in reducing your operating costs. Are you open to such a meeting? How do you confirm your I.T systems are secure? Are you in a contract? For how long? Are you experiencing any issues with your current IT set up? What areas in particular? Is there any area where you think you might need improvements on? What challenges are you currently facing with your existing set up? To confirm your appointment, we’ll send you a meeting request so you could mark your calendar. Also, I would like to send additional information about our company and the services that we offer. May I have your email address? Thanks for your time. Talk to you on (date of appointment). Have a nice day! Hi! My name is _____________, with XYZ Consulting Group. Would you be the best person to talk to regarding your company’s I.T requirements? I’m calling with XYZ Consulting Group. We are an I.T solutions provider specializing in secure I.T solutions for small to medium business. We would like to send information about our company and how we can assist in reducing your operating costs. May I have your email address, please? What’s your specific job title? Do you have a direct line or ext. Number? What challenges are you currently facing with your existing setup? We will send you the information. Thank you so much for your time. Have a nice day! 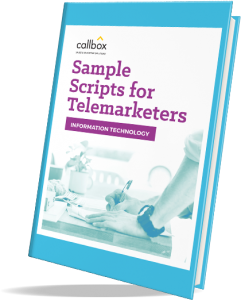 Download our sample scripts with rebuttals for IT telemarketing campaign. Hello Andrew! My name is Amanda and I’m calling from XYZ Consulting Group. I understand you are the best person to speak with about your business operations and expansion, am I correct? Great! Well as I was saying I’m calling from XYZ Consulting Group, an Australian owned financial services company. We offer business loans of up to $500,000 dollars. These loans require no security and the interest rate is very competitive. I called to find out to check if this is something you might be interested soon or anytime in the future? Great! I would like to arrange a short meeting with one of my Consultant to call you later this week and discuss with you about this and how you could benefit from it. When is the best time for him to contact you? We will send you information. Then my Consultant will call you later this week to know how we can assist you on this one. Thank you so much for your time. Have a nice day! Hi, good morning! This is Amanda and I’m calling from XYZ Consulting Group. Can I speak to Andrew, please? I’m calling about your business operation and expansion. Is he in? Hello Andrew. My name is Amanda and I’m calling from XYZ Consulting Group. We are an Australian owned financial services company. We provide business loans of up to $500,000 dollars that doesn’t require security and the interest rate is very competitive. May I send you more information about this? If Yes, proceed to gather email address (USE PHONETICS). What’s your ext. No or direct line? Great! We will send you the information. Thank you for taking my call. Have a great day! Download our sample scripts with rebuttals for financial telemarketing campaign. Hi Andrew, good morning. This is Amanda and I’m calling on behalf of XYZ Advertising. I understand you are the best person to speak with about branding and marketing strategy? Have you heard of XYZ Advertising before? We are a global brand consultancy and we help companies create, grow and disrupt markets by integrating research, brand strategy, creative and digital. We have worked with different companies such as Airbnb, Unilever, Alibaba Group, etc. 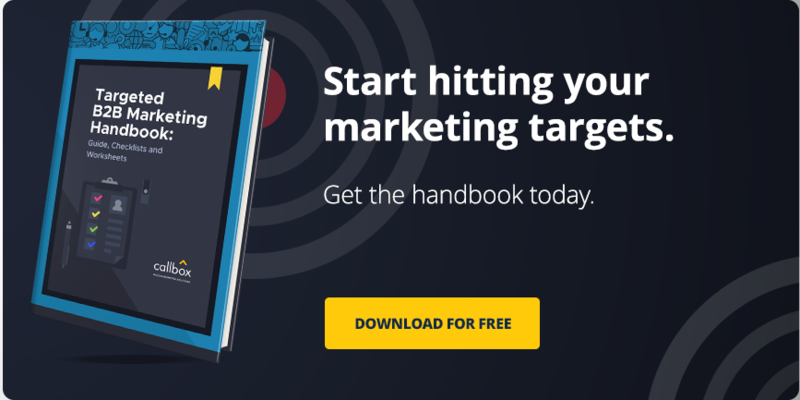 Do you know if your digital marketing is working or not? Do you have difficulties in measuring the effectiveness of your digital marketing? Do you think your brand needs a boost in one of your markets but don’t know where the issue is or how to go about improving it? My Director would meet with you to discuss our branding solution and how we can help improve your branding and marketing scheme. Would you be available on (day, date and time of appointment)? We would like to send information about our company, may I have your email address, please? Please mark your calendar for our Director to visit you on (date of the appointment). Thank you for your time. Have a nice day! Hi Andrew, good morning. This is Amanda and I’m calling on behalf of XYZ Advertising. I’d like to speak with the Marketing Manager, please. I’m calling about your company’s branding and marketing strategy? Is he in? Hi, good morning. This is Amanda with XYZ Advertising. I understand you’re the best person to speak with regarding your company’s branding and marketing strategy? Do you have a direct line or ext number? We would like to send information about our company. Thank you so much. Have a nice day. Download our special sample scripts with rebuttals for advertising calling campaign. Hi Andrew, good morning. This is Amanda and I’m calling on behalf of ABC Consulting. We are a global business consultancy and we offer free assessment for every startup companies. We have worked with different companies all over Australia (you can mention some of your clients here) take better actions, make better decisions and produce a greater outcome with less time and effort for our clients. Would you like to have a free assessment of your company? What problems and challenges are you experiencing right now within your organization? One of our consultants would like to meet with you to discuss how we can help your company solve these issues. Would you be available on (day, date and time of appointment)? Please mark your calendar for our Consultant to visit you on (date of the appointment). Thank you for your time. Have a nice day! Hi Andrew, good morning. This is Amanda and I’m calling on behalf of ABC Company. I was wondering if you’ve heard of our company before? We are a global business consultancy. We have worked with different companies all over Australia (you can mention some of your clients here) take better actions, make better decisions and produce a greater outcome with less time and effort for our clients. I called because we will like to send information about our company and the services that we offer. What’s your first and last name? So I can address the email properly. What’s your specific job title for me to address you properly in the email? We will send you the information. Thank you for your time. Have a nice day! Download our sample scripts with rebuttals for consulting telemarketing campaign. Hi Andrew, good morning! This is Amanda with ABC Solutions. I understand you are the best person to speak with regarding your accounting? That’s great! We are currently running a free upgrade for Quickbooks. Are you currently using Quickbooks? What year and version are you currently using? I’m calling to see if we could arrange a short meeting with our colleagues to run the free upgrade for your Quickbooks. Our colleagues would appreciate the opportunity of dropping by your office to do this. Would you be free on (offer day, date and time of appointment)? Thanks for your time. We’ll see you on (mention the date of appointment). Have a nice day! Hi, good morning. This is Amanda from ABC Solutions. I’d like to speak with your IT Manager, please. Hi, good morning. This is Amanda from ABC Solutions. Am I speaking with the IT Manager? Great! We are currently running a free upgrade for Quickbooks. Are you currently using Quickbooks? We would like to send the details to your email, may I have your email address, please? What’s your first and last name? So we can address the email properly? We will send you the information. Thank you for your time and have a great day. 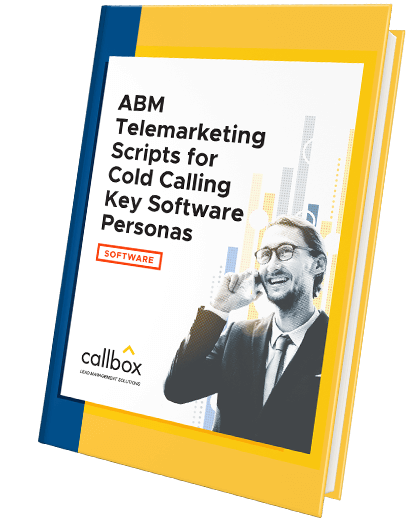 Download our sample scripts with rebuttals for software telemarketing campaign. Hi Andrew, good morning. This is Amanda and I’m calling on behalf of XYZ Company. We are a group of professionals and researchers who developed an advanced neurological disorder assessment tool, specifically for dementia. I understand you are the best person to speak with about this? Great! We have been in service for more than a decade now. Our memory assessment software is used by many clinicians to test and analyze a dementia patient’s memory. It also provides recommendation and further medical steps to take based on results. Are you currently using any neuro-assessment tool? Great! My Director would appreciate an opportunity for a brief meeting with you for a further discussion about our neuro-assessment software and how we can help you with you assessing your patients. Great! We will be sending you a calendar invite, may I have your email address, please? Again, the online conference will be on (Day, date and time of appointment). We will send you a calendar with the login details. Thank you so much for your time. Have a great day! Hi, good morning! This is Amanda with XYZ Company. I’d like to speak with the Neurologist, please. Hi Andrew, good morning. This is Amanda with XYZ Company. We are a group of professionals and researchers who developed an advanced neurological disorder assessment tool, specifically for dementia. Are you currently using a neuro-assessment tool? Do you have any issues or problems with it? That would be all. We will send you information. Thank you so much for your time. Have a great day. Download our sample scripts with rebuttals for medical telemarketing campaign. All sales reps, even the experienced once must prepare before making a call. Lack of preparation might mean losing a good opportunity. Although preparation can’t promise successful sales lead but it’ll help increase the chances of having more closed deals in the future. Combine Effective Calling scripts and S.M.A.R.T Calling! 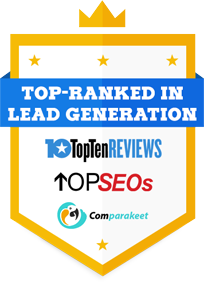 Learn how to get qualified telemarketing leads today!